Gerasimos Melissaratos is the executive chef/owner. 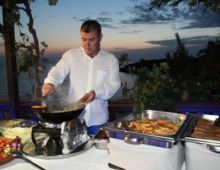 He has many years of studies and experience as the main chef in large catering companies and restaurants in Athens. His creative imagination, flanked by a group of partners, guarantee the high quality services and close attention to every detail. Stateri is well acclaimed in the catering business. Knowledge and consistency are used for planning receptions and high-level events which are gaining acceptance and the appreciation of all. 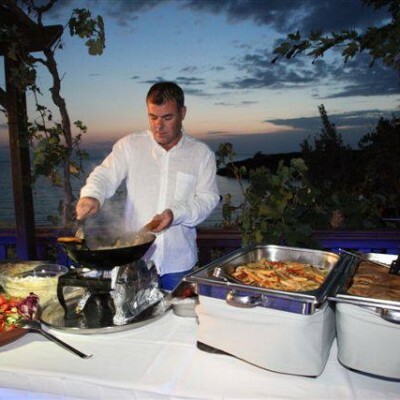 Stateri has been catering for 17 years in both Kefalonia and Athens. Its head office is located in a 1300 m² complex in Travliata (under St George Castle). Stateri is under the direction of Gerasimos & Panagiotis Melissaratos.